A bout three years ago, the telecom giant, MTN Nigeria, was fined a record $5.2 billion (£3.4bn) by the Nigerian Communications Commission (NCC) for non-compliance with a deadline set by the NCC to disconnect all non-registered sim cards. This fine, which negatively impacted on the share price of MTN, led to the resignation of Sifiso Dabengwa, as the Chief Executive Officer of MTN. In the same vein, in 2015, the National Agency for Food and Drug Administration and Control (NAFDAC) Nigeria fined Guinness $5 million over expired raw materials. These fines are not limited to foreign firms in Nigeria. 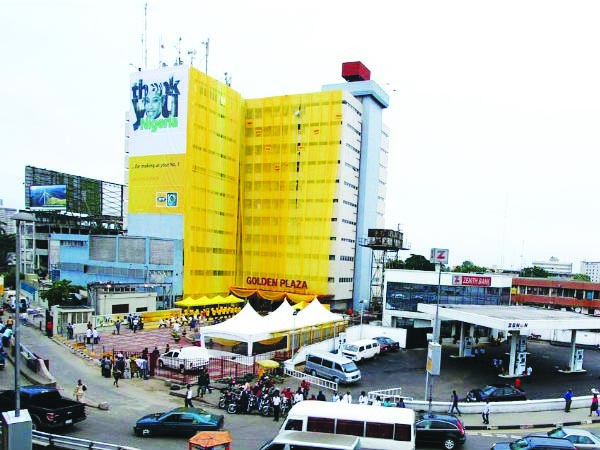 In a similar move, this year, again involving MTN Nigeria, the Central Bank of Nigeria (CBN) fined a combination of local and foreign banks, namely, Standard Chartered Bank, N2.4 billion; Stanbic IBTC, N1.8 billion; Citibank, N1.2 billion and Diamond Bank, N250 million for allegedly assisting MTN Nigeria to illegally move $8.13 billion abroad. MTN Nigeria was directed to bring the repatriated $8.13 billion back into the country. At the moment the regulator CBN and the affected organisations, that is, MTN, Standard Chartered Bank, Stanbic IBTC, Citibank and Diamond Bank are locked in serious discussion over the fines. And the outcome of those discussions are being eagerly awaited. These fines have one thing in common – i.e. the failure to comply with regulation, and the seeming lackadaisical attitude to regulation and regulators by some businesses. As such, they touch on the need to “obey the law” as one of the fundamental pillars of Corporate Social Responsibility (CSR) articulated in the now famous Carroll’s pyramid. According to Carroll, “…the CSR firm should strive to make a profit, obey the law, be ethical, and be a good corporate citizen” (1991, p.42). The good corporate citizen aspect of Carroll’s pyramid is often interpreted as corporate philanthropy or corporate social investments. And most businesses have come to narrowly define CSR as such. This narrow view of CSR as philanthropy is inherently problematic and deceitful. First and foremost, it can give CSR a bad name. Most businesses will legitimately argue that they are in business for money. As such, CSR as philanthropy can be a distraction and an unnecessary burden when unconnected to the bottom-line. In this regard CSR professionals spend an awful lot of time making the proverbial business case to get the buy-in of their colleagues and bosses. The second problem of framing CSR as philanthropy is that it positions CSR as something businesses do in addition to their primary roles of value creation (in some strict sense the pursuit of shareholder value). In other words, CSR becomes doing something extra for society. This idea of going the extra mile for society is inherently challenging for many businesses in Africa, especially the SMEs, who are continuously on a survival mode. It also attracts negative comments, as it seems to endorse and perpetuate the inefficient and weak public sector in most of Africa. After all, it should be the primary responsibility of governments to provide for society. CSR as philanthropy tends to transfer this role from governments to businesses. Obviously, these are legitimate concerns. However, they tell a partial story. CSR is broader than the narrow view of it as philanthropy or corporate social investments. Every business creates both positive impacts (e.g. employment creation, tax contributions, shareholder value creation, et cetera) and negative impacts (e.g. noise pollution, bribery and corruption, regulatory infractions, environmental degradation and waste production, et cetera) in the process of value creation. But how businesses relate to these impacts and what they do about them is equally important. As such, CSR in the broad sense is the responsibility of firms to enhance their positive impacts and reduce their negative impacts in their course of value creation. This view is endorsed by the European Commission recent definition of CSR as “the responsibility of enterprises for their impacts on society”. This is particularly important in Africa characterised by challenging and non-enabling institutional contexts. It is often argued that some firms are attracted to Africa because of the opportunities presented by her weak capitalist institutions – i.e. inefficient governments and weak civil society. In other words, bad government is good for business. In such an environment, it may be easy to exploit the weaknesses of poor regulation, cheap labour and raw materials. This is the classic case of strategic arbitrage where firms take advantage of price differentials of factor markets in different countries to enhance shareholder value. This strategy has been effectively used by many MNCs in their quest for global dominance. In such situations, responsible business practices become a luxury and an unaffordable burden. The Niger-Delta region of Nigeria, with its oil deposits, is a victim of this exploitation. Africa is rising. And as it rises, its business environment will become more sophisticated. The recent corporate fines in the Nigerian market, if sustained, are rather symbolic. As the biggest economy in Africa, it signals to the world that Africa is ready and open for responsible business. The era of anything goes may be fast coming to an end. Businesses in Africa will need to rethink their ways and grow with Africa. One possible way to successfully ride on this wave of Africa’s economic renaissance is to imbibe the principles of Africapitalism, as a new economic philosophy for Africa. And this applies to both local and international businesses interested in Africa. Framed as such, Africapitalism could become the new face and the software of the broad view of CSR and corporate sustainability, as responsible business practices, in Africa – a philosophy for sustainable business in Africa.